With most things in life, the key to success is planning, and it's no different with parent teacher conferences. Teachers prepare, plan, and think about conferences for weeks leading up to the big day (or days). 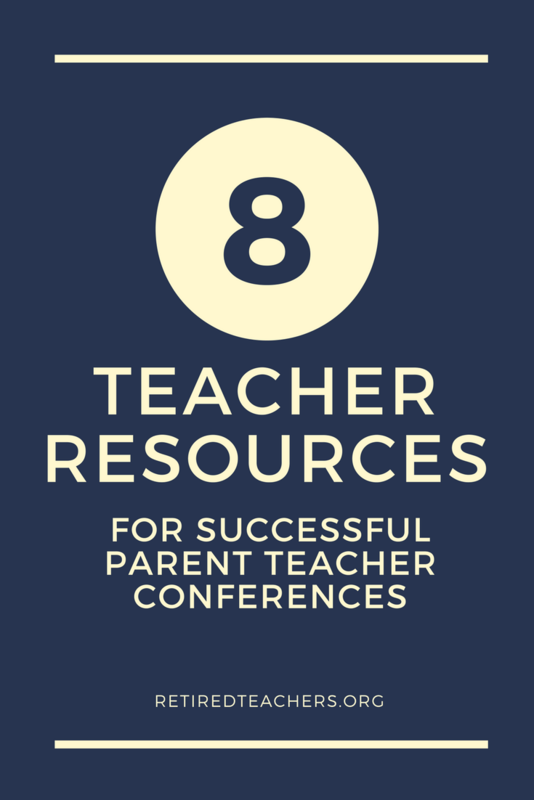 These resources will help you set the stage for successful parent teacher conferences. At the end, we've included links to our Pinterest board full of resources and printables. Before the conference, send home a survey or questionnaire to parents to gather their questions, concerns, and ideas. This not only help you prepare for their questions, but it gets parents thinking about what they'd like to discuss during conferences, as well. There are lots of ways to get parents to sign-up or schedule their conference time. If your school uses SignUp.com then parents will already be familiar with the tool and it will make it super easy to schedule conferences with your parents. If your school doesn't use a scheduling tool, you might suggest it to your principal, or try it out in your classroom if you're free to experiment. Teachers are tasked with administering multiple assessments throughout the year. In Indiana, we use NWEA, ISTEP, I-READ, and other standardized tests. How can we as teachers organize and present this data to our administration, parents and students in a way that is streamlined, efficient, and makes sense to everyone who needs to read the data? We created a reporting tool to make it easier for you. The spreadsheet can be customized with your own particular assessments, but it contains the basic tests that Indiana teachers use: NWEA, I-READ, ISTEP, among others. Parent goodies can be as simple as a bowl of bite-size candy bars, mints, or more elaborate "thank you's" to your parents. Show parents you appreciate the time they're taking out of their day to meet with you and discuss strategies for supporting their child at home. There's usually a positive way to address students' strengths and weaknesses, and using the compliment sandwich method helps keep the discussion positive. Provide a few printouts for your parents, or an all-in-one resource sheet for parents to take home and put on the fridge. Some ideas: websites your child uses in class, online resources and videos, tips, guided reading helps, library hours and resources. Email is great for keeping in touch with parents, but sending home a written note adds a personal touch and a visual reminder that parents can stick to the bulletin board in the hallway or a message board on the fridge. In our digital world, a printed reminder can cut through the noise and stand out. Parents want to be involved, but sometimes they don't know how. Use a Wish Board not just during open house or the beginning of the school year, but throughout the year during conferences. Perhaps you need volunteers for the classroom. Why not include it on the Wish Board? Think beyond just the glue and scissors you need in the classrooms. Give parents more ways to be involved. Follow us on Pinterest, and click the board below to see our favorite pins for these and other parent teacher conference resources!